Create memorable moments with a Atlantic Fish dining experience. Send a traditional or electronic gift card to someone special. Choose a pre-set or customized amount and personalize your message. 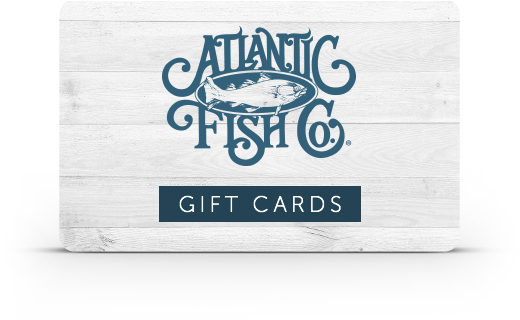 Traditional Atlantic Fish gift cards are mailed within 5 to 7 business days of purchase. International orders are shipped via USPS standard mail only. 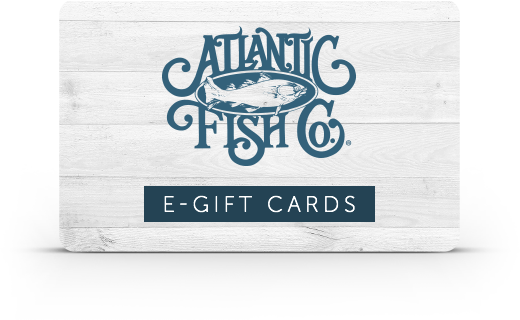 Instantly send an Atlantic Fish e-gift card to your recipient’s email inbox. Not available for international purchase. Atlantic Fish Company is part of the Tavistock Restaurant Collection family.